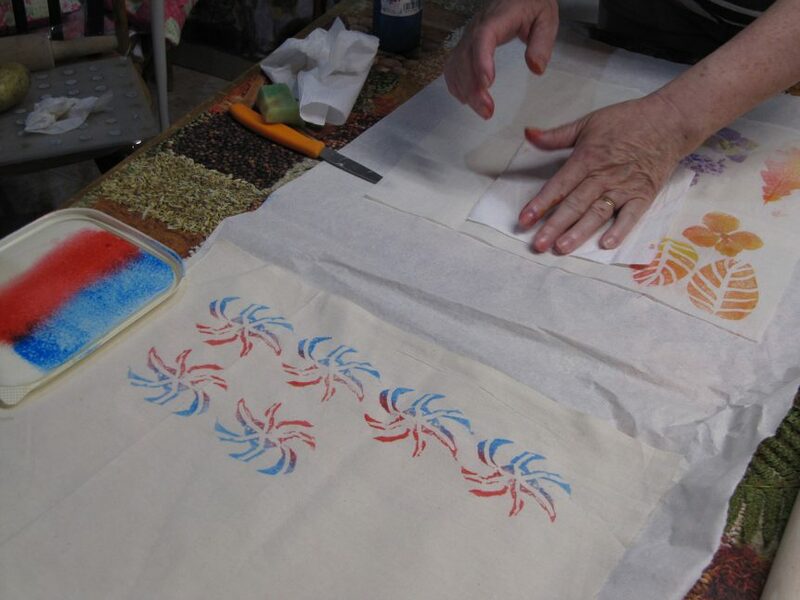 Home » CAP, CAP News, TRASH Fashion » The Dungiven Regeneration Club is getting crafty! The Dungiven Regeneration Club is getting crafty! Crafty members of the Dungiven Regeneration Club are coming together on Saturday mornings to tap into their make-do-and-mend and creative impulses as part of the 2017 CAP Trash Fashion project. Already keen members of existing sewing and crocheting clubs at the centre, the participants are enjoying playing and experimenting with out-of-the-ordinary materials and new techniques. So far clothes are being upcycled – jeans into bags, a furniture cover is transforming into a dress, and old clothes are getting a face-lift using embellishment of all kinds: hand printing, applique, button and corsage making. All materials are salvaged or have had a previous life from sheet music to fruit bag netting so there is no risk of waste or of it “going wrong”, just a great opportunity to discover hidden imaginative talent and perhaps express alter-egos? Watch this space ….! Visit Dungiven Regeneration Club Facebook page!